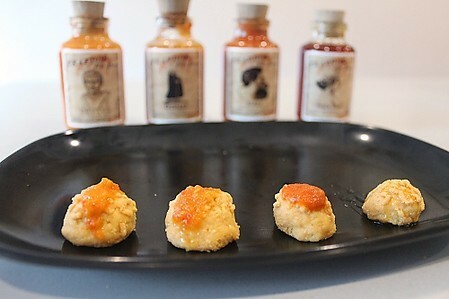 This hot home business is fresh from releasing their first batch of uniquely flavored hot sauces infused with local flavors, deceptively mild or sweet but armed with the mighty kick of siling labuyo. 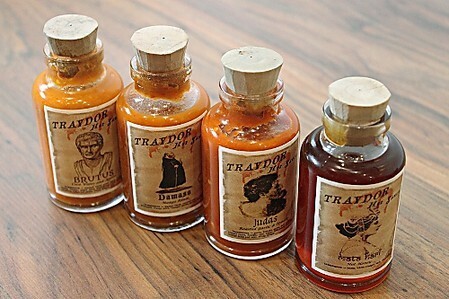 Traydor Hot Sauce is the brain child of JC Medina and Chef Toogy Clavecilla, aiming to offer heat-loving, discerning palates a different kind of hot sauce experience by using the local sili in all their variants. They then infuse local ingredients such as mangoes, pineapples, and coconut water, making very unique ingredient combinations and also, highlighting that the brand is proudly Filipino (and creative, at that). 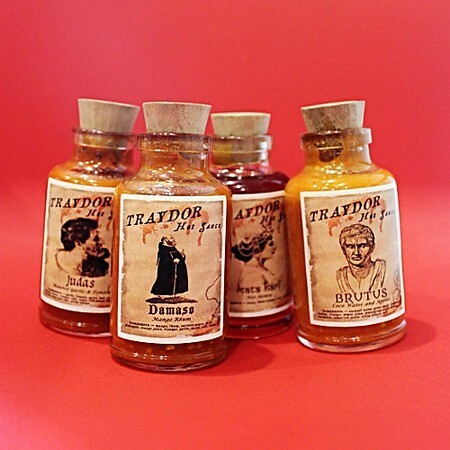 Hence, Traydor, with flavors named after famous traitors of history. All hot sauce variants are siling labuyo based and moderately spicy to very spicy (depending on your heat tolerance of course!). However, they are never tongue-numbing--your tastebuds don't die from the burn; they can still appreciate the nuances in the different ingredients infused. Dare to try their different flavors of betrayal and discover which one's your favorite kind of 'traydor'? We've unbottled and tried them ourselves. Have a first look at their four flavors. The sweet and hot mix here may remind you of spicy salsa, it even has its texture. The scent is punchy, and the first thing that slaps your palate is the flavor of coconut water. 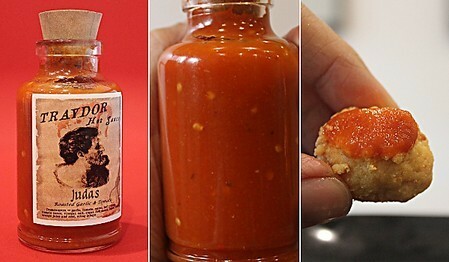 This is not your ordinary supermarket hot sauce, for sure. The most unique flavor profile, the fruity mix gives your tastebuds something new with the twists and turns of sweet, sour, then the lingering heat. 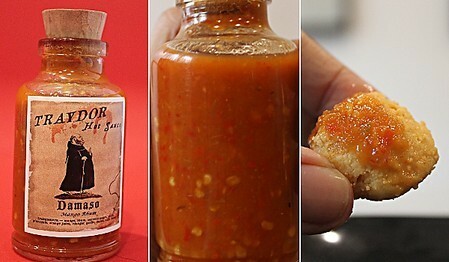 Don't be fooled by its quite mild scent--the sniff might not wake up your nostrils as much as other hot sauces, but the hotness level here is kickass (according to our team's taste test, this is the spiciest). Try with grilled meats! That classic combo of roasted garlic and tomatoes is indeed, paired well with almost anything savory you can get your hands on. The flavors are more traditional on Judas, going classic and old school with the spice. It's the thickest sauce among the four, like a puree. 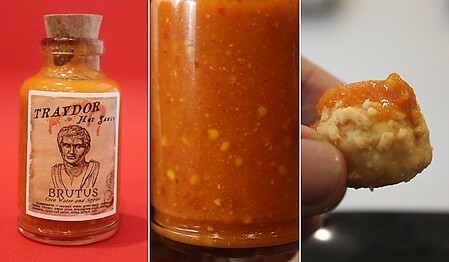 The lightest and smoothest of the lot, this hot sauce of labuyo steeped in honey is hot liquid gold. 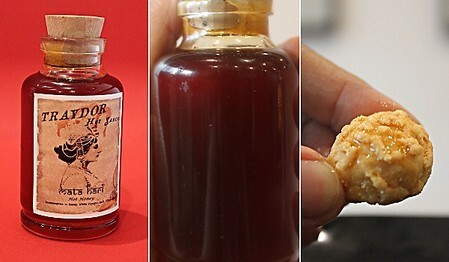 Mata Hari slithers and pours easily on your food, the initial sweetness getting lashed with bouts of heat. This labuyo syrup could go well with desserts that need a little kick, such as a sorbet or ice cream for that cold and hot combination. 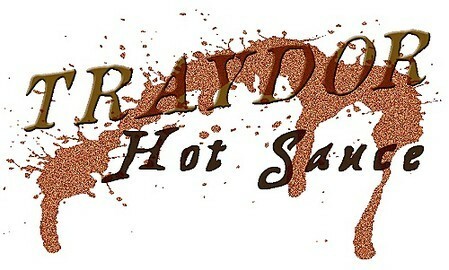 Traydor Hot Sauces are available for pick up in Salcedo Village, Makati. They are always done in small batches, as they use fresh, all natural ingredients and require a 3-week fermentation process. They have absolutely no artificial flavorings nor artificial preservatives, so it is recommended to refrigerate the bottles immediately. Dare to try their different flavors of betrayal and discover which one's your favorite kind of 'traydor'? 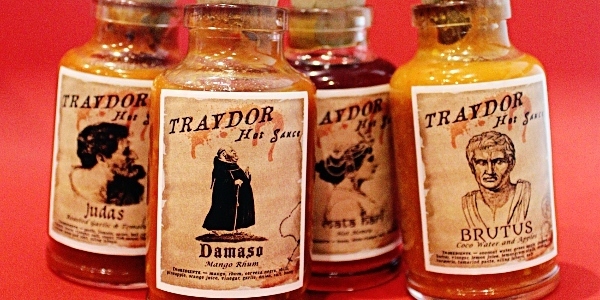 A Traydor Hot Sauce bottle is 100mL and priced at P200. To order, e-mail traydorhotsauce@gmail.com, contact 0906-3301292. Like them on Facebook (/traydorhotsauce) and follow on Instagram (@traydorhotsauce).